A city that’s never quite the same each time you visit, Berlin will not fail to put you under its spell! Often referred to as the city of freedom, Germany’s capital has both a historically concise past and a multi-faceted present of unlimited possibilities. Whatever the season, the beautiful city of Berlin has so much to offer! 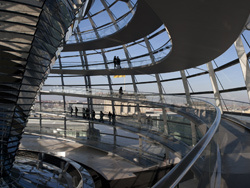 Immerse yourself more deeply in the fascinating culture on a German language course in Berlin! Hello everyone! 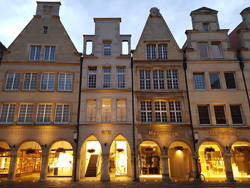 I’d like to give you a small introduction to Münster, one of the most liveable cities in the world. It even won an award for that in 2004, and is still, to this day, famous for its quality of life. One reason for this is its friendly and helpful people. 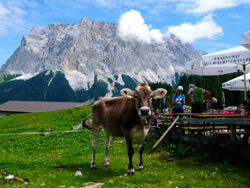 Another main reason is its eco-friendly methods of transportation. Münster is Germany’s bicycle capital. Hardly any other city is equipped with such a well-developed network of cycle paths and so many bike-related offers. It’s no wonder that travelling by bike is the most commonly used means of transport in this city! 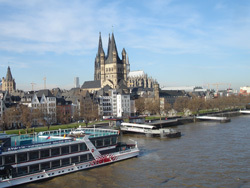 When people think about learning German in Germany they often tend to consider the big cities first. 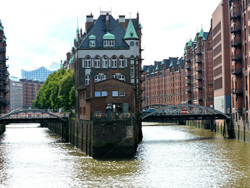 There is no doubt that cities like Berlin and Hamburg are remarkable places and definitely worth a visit. 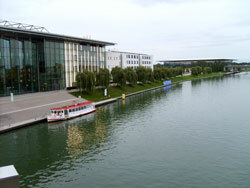 But why not try something new and exchange a big cosmopolitan city for wonderful and unhurried Freiburg im Breisgau! In this blog post we would like to give you an insight into this charming town on the edge of the beautiful Black Forest. 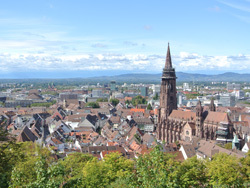 We also want to give you 7 reasons why Freiburg is an ideal place for your next German language course. This well-known phrase and same-titled film and song perfectly describes Heidelberg – the beautiful multicultural city in the Southwest of Germany! As a matter of fact, it’s not just partners that you can fall in love with in Heidelberg… You’ll also find yourself losing your heart to the city itself! It’s no wonder the incredibly picturesque old town attracts visitors from all over the world. 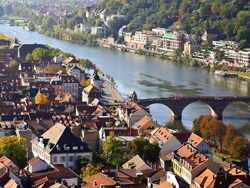 Heidelberg immerses you in the German language but also surrounds you with a wide variety of other foreign languages! Sometimes you will hear English, French or Spanish on a walk through this bustling city! 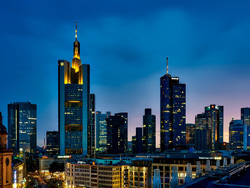 The first question that comes into mind when you hear the word Wolfsburg is very often “where is that?” Located in Lower-Saxony and being home to 125,000 people, this northern German city is not what you would call a metropolis. Yet, when people hear that this is the place where one of the biggest car manufacturers – Volkswagen – is headquartered, their interest is awakened very quickly. Even though you may be a little sceptical at first, (especially with the recent VW emissions scandal!) this city is definitely worth a visit. 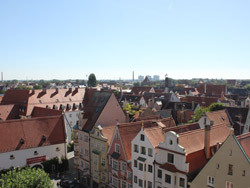 The only German city with its own holiday, home to the Fuggerei and the Puppenkiste, birthplace of the famous writer Bertold Brecht and Mozart’s father Leopold Mozart and one of the oldest, greenest and most liveable cities in Germany – these are just some of the fascinating facts that Augsburg has to offer.